Why has online education in India not taken off yet? Indian Education sector is hot. We see innumerable startups popping up all around us. I wouldnt be surprised, if stats say that there is one EdTech startup per day. And I think the trend has been similar in last few years. But we havent yet seen online education taken off in India. On the other hand, we are seeing lot of action in online learning in higher education in US. Be it massive online open courses like Udacity, Coursera, EdX, MITx etc or informal courses at K12 like Khan Academy – we have been hearing a lot about success of these programs. There is also lot of action on collaborative learning and lms front where companies like Edmodo, Coursekit, Piazza etc are growing fast. Why havent we seen any success story in India so far? I do not know the reasons but let me try to list down some possible reasons. 1. We are not ready yet for online learning? There are some 100 million+ internet users in India. But when it comes to usage of India, learning is not really the priority of these online users. Online learning competes with entertainment, social networks, ecommerce, news and many other things. In addition, learning is a serious engagement that needs some good amount of time allocation. So although, we say that there are so many internet users in India, and out of these there would be some percentage of students online. But how many of them really get through all other distractions and sit back for learning. I think in India we are still in those lingering stages where students are yet to commit themselves for online studies. Just a clarification, joining an online portal or discussion board in not what I count as serious online learning. 2. Investment ecosystem is absent. Coursera has secured more that $22.5 million with a model where they are yet to think about monetization. Edmodo has raised more than $40 million. And here again, there was no monetization model, though things might have changed with their platform model now. There are many other examples – Code Academy, Knewton, LearnBoost etc. We have not seen many such stories in India. Companies like Educomp, Everonn etc have raised lot of money but they are more of an infrastructure/ content stories. Education+Internet is missing. To be fair to investors, maybe they believe in point one above or may be they havent found teams that can execute like some of the american counterparts have done. 3. The right product is missing. I think we are yet to see an online education product (or service) with right user experience that is suitable for Indian students (specially K12). Some of the products are half-baked products released too early to be firsts in the market. Take the tablets for example. There is a deluge of 7 inch tablets from many companies (I can count at least 10 of them) that promise bundled K12 content along with the hardware. Take the best of them all and just try it out, you will know what I mean. Also consider other products like online streaming classes, or factory made animated content available from tens of companies. It is understandable that these companies are trying to crack the market and some will be successful. But in the long-term, things act against because online learning ultimately looses trust from parents, who pays for the product and student, who is the consumer. Scrappy products will make money in the short-term but will lose out in the long run. It would not be fair to compare online learning with e-commerce. But if we look back 6-7 years from now, we were facing something similar in e-commerce. There were too many companies around, none making a real mark in the market. But then, suddenly something changed – due to market dynamics or changes brought by the leading companies today – and then we saw this gold rush in e-commerce. Thereafter, imitators and laggards followed. I just like to think, that one day, things will change, this jigsaw puzzle will be solved and some company or set of companies will change the dynamics of online education in India. Ugliness level is definitely a subjective criteria. But I can take liberty in generalizing it in the similar way we generalize beauty. Website of Apple is beautiful, Reddit is ugly. If you agree, we are on the same page. Till few months back, design aesthetics was one of the primary consideration I had before working on any application. But then things changed with a simple understanding – the beauty of a website or an application is not always relevant to its functionality. And then there are live examples – Amazon.com, Reddit.com, Coolmath.com, Craiglist.com, berkshirehathaway.com, HackerNews and to some extend Facebook. Also Tally (accounting software), Google docs and Wikipedia. Unless, the purpose of an application itself is to look good, which can be a good purpose for selling say lifestyle products, it need not be aligned with a good-looking website. If the purpose is to increase sales, the primary design decisions should be derived from the sales metrics. Amazon would have come with their design after millions of split testings and optimizations. If the purpose is engagement, that should be the primary purpose and Facebook is a good example. Coolmath website conveys that they are not marketing their products and probably their target customer is more comfortable with using such website. 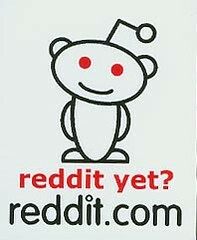 Similarly Reddit and HackerNews meet all the test in usability and functionality for their target audience, the look and feel does not matter. A nice look and feel of your application or website is neither a necessary condition nor a sufficient condition. Aligning it with the purpose is more important. 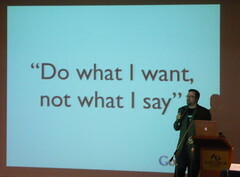 And the only way to do it is using real metrics based on user testing. What looks cool or beautiful can serve no purpose and your target audience might not care about it. This one is continuation of my earlier post – Startup On Cloud (Or 9 Cloud-based Tools For Startups). I came across some more tools that startups can leverage. We, at Eduflix.tv, are either already using some of these or plan to use in future. ClickTale tracks the user experience on website and helps in improving the user experience and conversion rates. Userfly is another alternative and I am sure there would be many such services available. These services track the mouse moves, clicks, scrolls etc and create videos of customers’ browsing experience. The heat maps generated can also help in making some important design decisions. We use Clickdesk to provide live chat service on our website. Being a consumer service company it helps us in having inbound interaction with our users. We have multiple ways in which users can reach us – feedback form, email, phone number and live chat – and it seems that users prefer live chat more than anything. The experience has been good so far if we discount the irrelevant or junk messages we get sometime (no fault of Clickdesk). Intercom is clean and simple CRM for tracking users and communicating with them. Intercom helps us to know when our users log in and to message them inside the app itself. It is not very feature heavy application but the its simplicity makes us always logged on to it in spite of having our won in-house CRM system. After trying out tens of tools, Workflowy was an end to the search of a good project management tool. Like Intercom, it’s the simplicity of Workflowy that makes it so usable and worthy of occupying one permanent tab in my browser. A to-do list can grow to be very complex, specially for startup teams since there is too much multi-tasking (and lot of things to do!). Fortunately, there is workflowy that makes all the lists look simple. “One list to rule them all”, rightly quoted in Lifehacker. With simple collaboration tools, now it is not just a personal to-do list. My earlier post covered tools from Google but I missed out this one. There are many other A/B testing tools available but nothing beats “free service” for startups running on shoe string budget. Google website optimizer helps in split testing landing pages or other important pages in web app. Sometimes, taking empirical is better than taking decisions based on past experiences or gut feeling. For creating a good “launching soon” page. We used this to create a launching soon page for our QnA platform and it saved us lot of time by not worrying about hosting, css, html etc. For creating the landing pages and A/B testing the pages. We have around 10 landing pages for our website and creating a new page and creating variants to split test it always take up lot of extra work. Although we havent used it yet, in future we plan to use some service like Unbounce to make this process faster. This completes the list as of now. Would love to hear more about such services that can speed up processes in a startup. After writing this post, I realized that all the tools discussed above are for marketing. In part 3 of this series, I will cover technologies and frameworks that can be used in product development. Product-market fit is more important than creating processes for scaling up: So you are driving fast to reach your destination, but what if the way you chose is itself wrong? Startups like ours face a lot of uncertainty. There are hundreds of things that can go wrong. Sometimes, we spent a lot of time in thinking about [and doing] things like creating the cheapest delivery service or increasing the size of the team. These things are definitely needed but concentrating on these things unless you are sure that your product will work is just like driving fast at the risk of choosing the wrong way. Scaling up, setting up most optimized delivery processes etc can be de-prioritized over quick validation whether the product will really work. You cannot find answers in meetings: We also spent a lot of time in discussing about the right markets, product features, business models, ideas etc. We also felt disappointed lot of times when we were not able to find the right answers to our questions. One thing that I learnt is that no matter how much you research or read, there is no alternative to test your hypothesis. So instead of finding answers in the meetings, we should discuss more about tests that can be done as quickly as possible to get the answers. There are two type of tasks in a startup: Any task in a startup can be classified into two parts – customer-centric tasks and non-customer centric tasks. Although all tasks in a business are customer-centric since the primary objective of business is to create a customer. I define customer-centric tasks as only those tasks that are directly related to customer – be it sales, support, customer feedback, product delivery etc. While non-customer centric tasks are indirectly related to customers – setting processes, server benchmarking, designing visiting cards, stationary, making perfect facebook page etc. Now when I look back, we spent a lot of time on non-customer centric tasks. While these wer also important but some of these could have been conveniently postponed for later time after customer-centric tasks were taken care of. You cannot do too many things at the same time: There was a time when we were considering 3 to 4 business models and working on all of them simultaneously. This testing was required to understand the market better but being a small team, it took a big toll on our mind share. Then there are growth models – we worked on multiple of them at the same time. I think it would have been lot better had we experimented with one model at a time and ingested the learning going forward. You should measure the right metrics: Numbers that look very encouraging can start looking very depressing if looked from different perspective. It can also be vice versa. And if you are making decisions based on these numbers seen from a wrong perspective, it can have serious repercussions. We were lucky enough not to fall for any vanity metrics [ for eg. 10K FB fans or 800 registrations etc]. We are also trying to come up with right metrics to measure our business. Not hiring is better than hiring mediocre people: At least not when you are starting up. We were lucky to get really awesome people and it was great to see how much they were able to contribute considering the zilch experience they had. On the other hand we also made couple of mistakes – hiring unfit people. The worst part here is not the monetary cost to company but the amount of mindshare and overheads involved in keeping them in sync with the company’s culture and business objectives. Things that you think are important may mean nothing to customer: So we designed a cool feature in our product, we discussed about it for hours and we were happy about it. Then customer says “oh ok” or doesn’t even notice it. I think by middle of the year, we started to realize, to some extent, what matters to our target customer and what does not. We might be still biased about it but now we are aware about this bias. Our customers are not “us” and hence what we think is cool does not matter to business. And to add to this, what customer says is not necessarily what customer wants and it’s the latter that matters more. Fortunately, we did not make many mistakes in investing heavily on unwanted product features. And the biggest of them all – There are some things you will learn only by doing, sometimes learning the hard way. You can read hundreds of books or get advice from many wise people, you cannot learn swimming unless you jump in water. Before starting, if I were given objective type questions to answer based on the above points, I would have answered most of these according to what I have learnt now. But it would have been like knowing the theory of freestyle or backstroke swimming – which is almost worthless. In last few years I have seen an interesting paradox first hand. While there are so many companies looking for good technical talent, there are also thousands of engineering graduates looking for technical jobs. And what explains this paradox is the skill mis-match between what companies need and what these grads own. Unfortunately, most of the engineering colleges are failing to impart these skills required in Industry. Take for instance, programming skills – I have met many computer science grads in last one year who do not know programming. 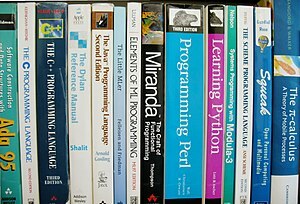 I am not an expert in programming, but being a geek, I have been able to aggregate some resources that might be of some help. 1. Udacity – Udacity is an interesting startup offering free courses from the greatest teachers. One of the current course running is CS101: Building a search engine and Udacity claims to teach enough programming in seven weeks that you will be able to build a web search engine like Google. The best thing is that this course does not need any prior programming experience. The programming language used is Python. Although the course started on 20th Feb, you can still join it or join in next session. There are 366 problems I can see (without logging in) – enough number to keep you busy for a while. 5. Stackoverflow – If you are a geek, it is almost certain that you would have stumbled on Stackoverflow. With more than 2.8 million questions, and growing, this has become one of the biggest library of programming questions. There is very high probability that you will find the answer to the exact problem you are looking for and in case you don’t find, you can always ask. So we have five different ways of learning programming. Khan Academy and Udacity are based on Video learning, Udacity is more structured and comprehensive. While Code Academy and Project Euler are based on problem solving. Codeacademy walks you through step by step , perhaps good for beginners and Project Euler throws a good problem and its all on you how to solve it. Stackoverflow is more like reference where you go when you get stuck with something. All said and done, as some of the programmers say, the best way to learn programming is by doing it. It has been 8 months since the academic session started. Baluram has not yet paid the school fees for his three sons and one daughter and now he is requesting the school principal if he can pay it in kind – he has no money but has just harvested wheat and he can drop a part of his harvest at principal’s house. The principal has no idea what he would do with 100kg wheat – it would not even cover 25% cost of education he is imparting to four of Baluram’s kids. But he has no option – neither can he throw Baluram’s kids out of school nor can he reject this offer. This incident is not new for Mr. Ravindra Sharma, also popularly known as Pappu Bhaiyya. 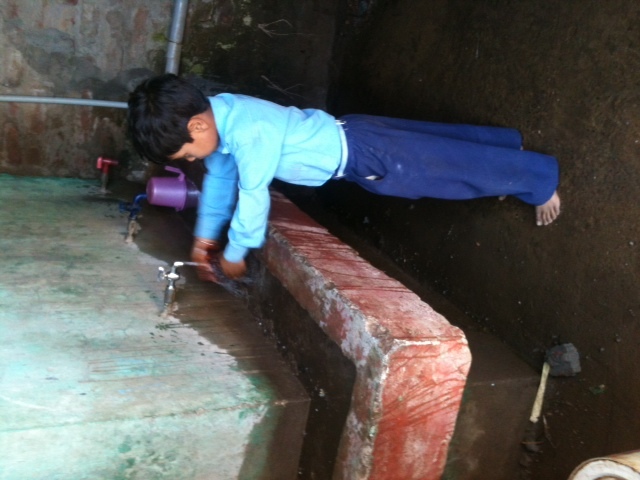 In 16 of his life in educating rural kids, he has come across many such cases. Ravindra Sharma started Vyankat Vidhya Vihar, named in the memory of his father, 16 years back with his wife Maya Sharma in a rented house with just two rooms and 20 students. 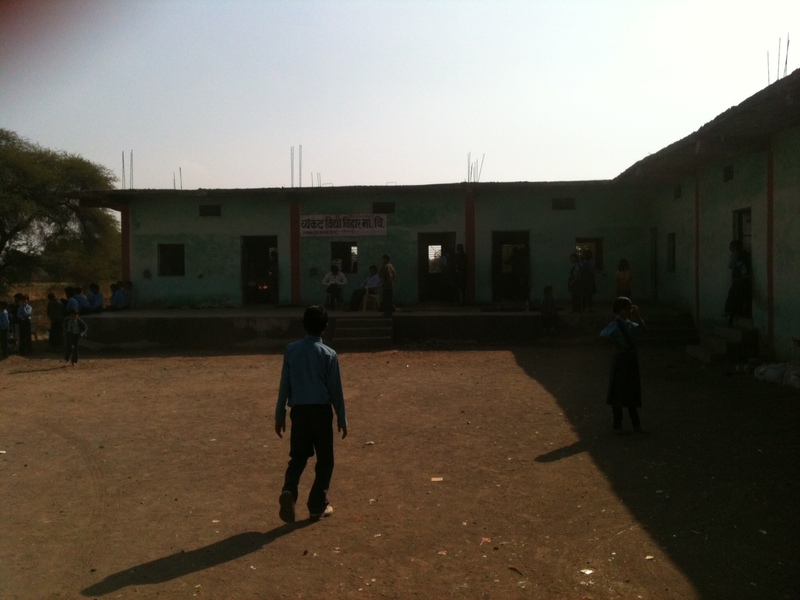 Before this school, the kids in his village had only two options – go to government school 5 km away with highly questionable quality of education or drop out and start helping their families in making livelihood. staff. 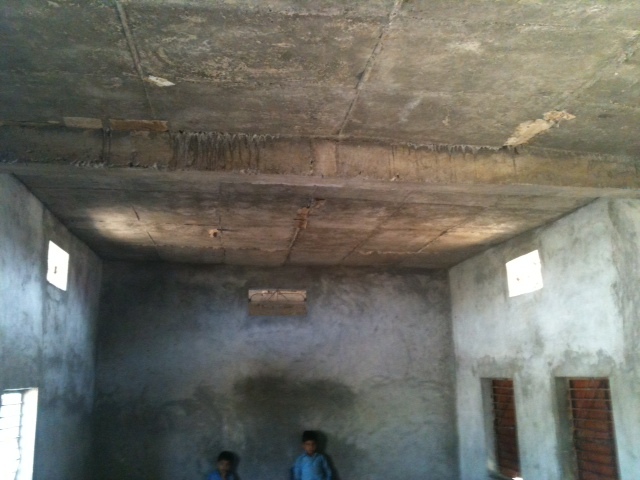 Later he sold his family possessions, borrowed Rs 5 Lakh from Bank of India and some more from family and friends and build this structure that houses the school today (see pictures). The school even has a bus now that makes three rounds to pickup and drop students (please note, Rs 100 / month covers transportation charges as well). While browsing through the school files I note that they achieved 100% result in last academic year. Sounds impressive. I also note that only 60% of fees was recovered in the last academic year. However, they had to pay teachers salary in full and on time – the total staff stands at 19 – 14 teachers, 1 driver, 1 conductor, 1 cleaner, Ravindra and Maya. Today Maya handles the daily chorus of school including the academics while Ravindra tries to bridge the cash flow gap. I am still struggling hard to understand the economies. Ravindra and Maya are not from IITs. They are not even very well-educated in normal terms. Ravindra had to drop out due to family reasons and Maya is still pursuing higher studies – she had to take two breaks; one for her marriage and one while giving birth to her son. But that doesn’t really matter. 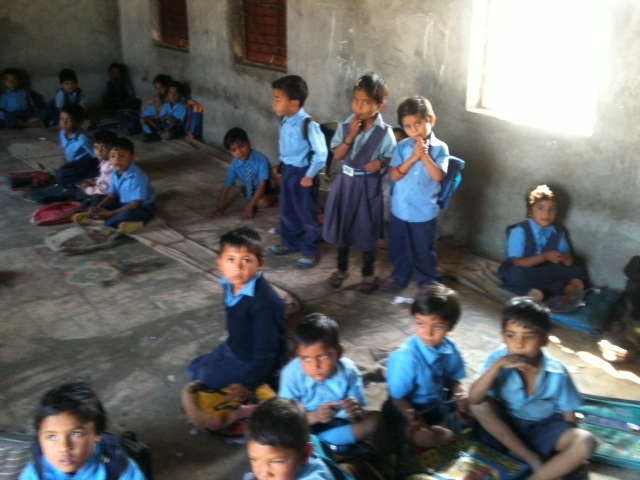 What matters today is that they have changed lives of more than 1000 kids in last 16 years. And this number is going to increase manifold in coming years. What also matters is that their model is working – albeit with a lot of hard work. 1. Can we create more of Ravindras and Mayas in other parts of the country to solve the real problem facing our country? 2. And can we make their lives little easier in this journey by using some innovative finance model? Also interesting to note that local search is only 4.7 %age of total search for these specific keywords. 1. You will have to ask help from others many more number of times than you can help others. Very painful process specially if you are not used to ask for help. 2. You might stop enjoying the luxuries of life and good food in expensive restaurants. These will become objects with a price tag on them with an opportunity cost. 3. There is a large probability that you will not succeed and not become one of those heroes who inspired you to take entrepreneurship. This apply even if you think you are better than 90% of other startups [although you might not be]. You might just be unlucky. 4. Those precious moments that you used to enjoy – reading a book, watching a movie, writing articles – gets limited. 5. There is nothing like work-life balance. You life is your work. And your family needs to be understanding enough to understand this. 7. Unless you are very rich, your living standards will go down compared to your friends – who will be buying apartments, going on vacations abroad and throwing parties in expensive restaurants.